Uber is a private international company headquartered in San Francisco, California. 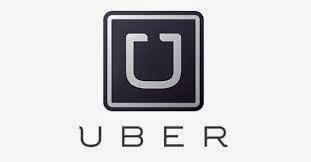 It develops, markets and operates the mobile-app-based transportation network also called Uber. The Uber app allows consumers to submit a trip request, which is routed to crowd-sourced taxi drivers.As of December 16, 2014, the service was available in 53 countries and more than 200 cities worldwide.Since Uber's launch, several other companies have emulated its business model, a trend that has come to be referred to as "Uberification".